The weather is above zero and your no longer able to get away with not taking your dog for a walk, his biggest priority now is to spend time outside. The number one destination for your pup is the dog park or on a hike. Most people take full advantage of getting out and doing summer activities with their dog by their side. Sometimes a situation may arise that’s uncontrollable; your dog gets startled and happens to take it out on someone else. “There are an estimated 500,000 dog bites a year in Canada”, as stated by the Globe and Mail. That’s a lot of bites! So, what if my dog bites someone... Will I be covered? How am I covered? With any dog bite claim, an investigation is conducted to find the facts of what happened, and why it happened. Dog bites would be covered under your liability coverage on your Home or Renters insurance policy, if the insurance company concludes that this was a sudden and accidental situation. If you come into any situation where your dog bites someone, be sure to contact your insurance broker who will help assist you in starting your claim. How can I prevent a dog from biting me? Pay attention to the dog’s body language. If the dog has a tensed body, stiff tail, intense stare, lowering and backing away, or bearing teeth, you want to put a safe distance between you and the dog. If you think the dog may attack, resist the urge to scream and run away. Stand motionless, avoid eye contact, and place your hands at your sides. Once the dog loses interest in you, slowly back away. If the dog doesn’t lose interest and moves towards you, “feed” the dog anything you have close by (hat, purse, shirt) to distract them long enough to run away. If the dog knocks you down, curl in to a ball with your hands over your ears and remain motionless. 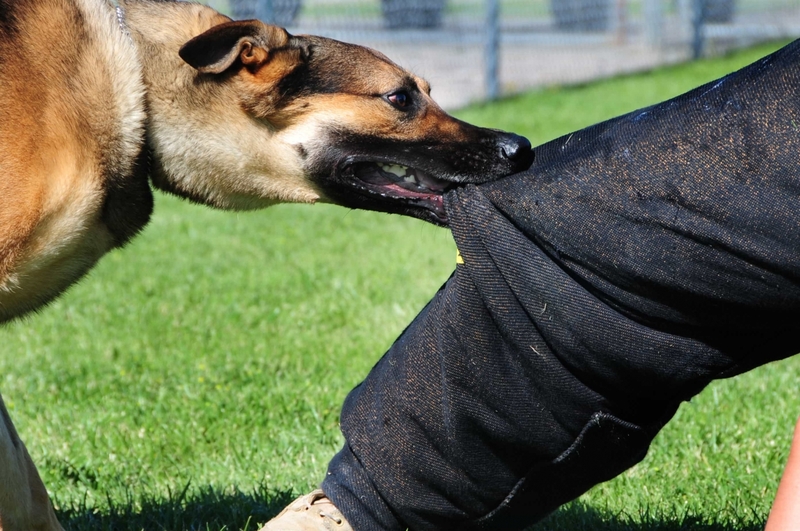 If you have any questions about your coverage for dog bites, contact your Air Alta Insurance Broker for more information. Stay safe and enjoy the outdoors with your pup and be cautious with other dogs you encounter!